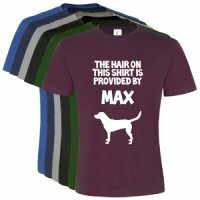 Covered in dog hair? 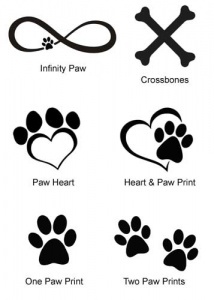 We have the solution. 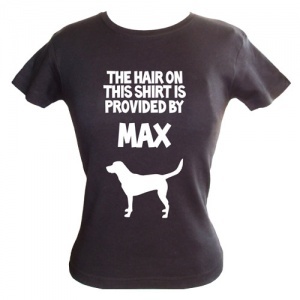 Simply state who the hair belongs to and wear it with pride - the t-shirt and the dog hair. 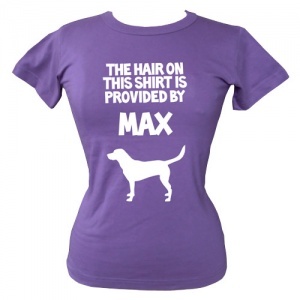 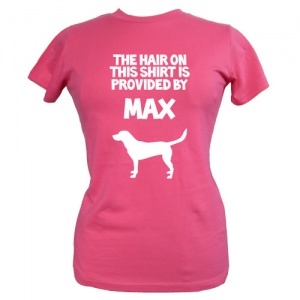 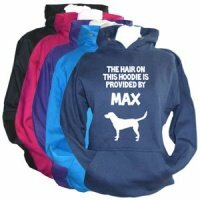 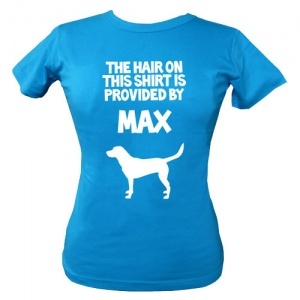 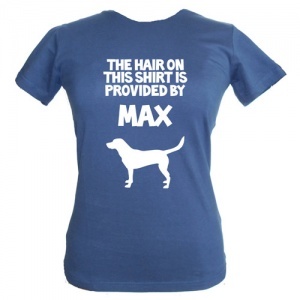 This funny slogan t-shirt says "The hair on this shirt is provided by" and is personalised with your dog's name. 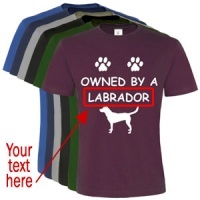 Custom printed just for you. 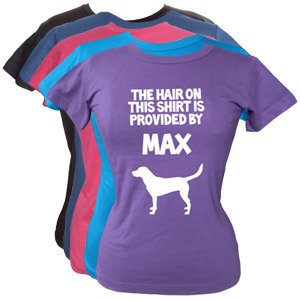 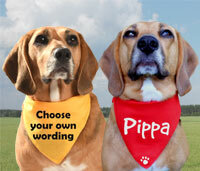 These quality, affordable, personalised t-shirts are perfect for walking the dog, a day out, a pub lunch with your pooch or anything you and your dog love doing together. 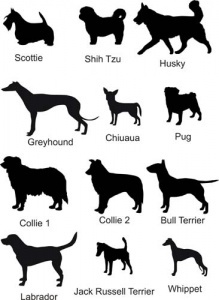 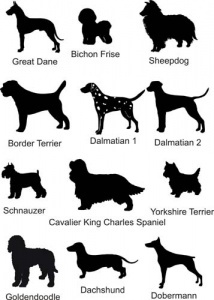 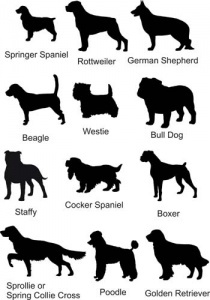 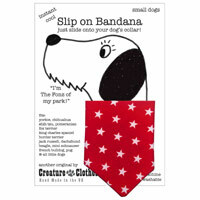 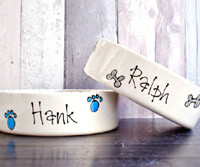 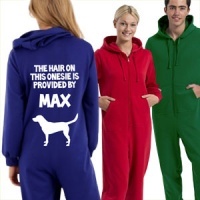 These also make a unique and amusing gift for a dog loving friend.